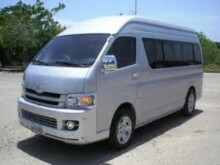 You deserve to travel in comfort and style in vehicles that are fully air-conditioned, licensed and insured. If you're going to any one of these hotels in Falmouth, Royalton Blue Waters, Royalton White Sands or Oyster Bay Resort then let Jamaica Exquisite Transfer and Tours take the wait and hassle out of your vacation. Our private airport transfer will take you and your family to your destination without any delay. Our private transfers are flexible, so it allows you to make stops if you so desire.